It's been a few weeks since I've mentioned my bedroom update and that is partly because I'm somewhere in limbo with it. The great news is that I have filled the room once again with furniture the bad news is that I'm still sleeping on a mattress! Today I wanted to talk about the Aubrey wardrobe*. 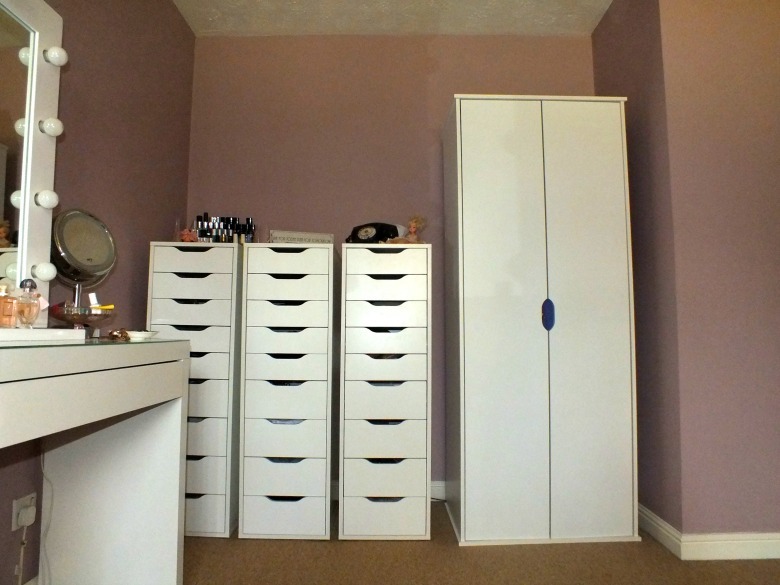 I had already decided I wanted three sets of the Alex drawers from IKEA which as they were being placed in the alcove of my bedroom meant I needed to find a wardrobe that would compliment them and fit in the space. Most of the wardrobes I found were either too big, too ornate or too bland but the Aubery's cut out handles complimented the Alex drawers perfectly. Whilst I was able to build much of the furniture myself I knew that a wardrobe would be a two man job so I called in the services of Ben to help although I will say much of it was done by him, impressively enough whilst he laid on the floor and shuffled around only needing the two of us when it was time to lift it into place. There was some concern that we had one or two pieces of wood leftover that we couldn't fathom where they should be but I can report that some weeks later the wardrobe is still standing and the rogue pieces are long forgotten. Flatpack furniture commonly gets a bad rap and this wardrobe wasn't the most expensive pieces of furniture but I don't have anything but good to say about it. 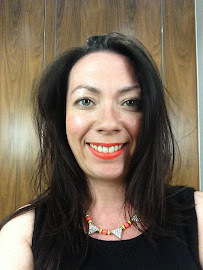 It's not flimsy in the slightest, is strong and sturdy and I am quite happy to bang the doors without fear they'll drop off… in fact the drawers are quite soft to shut which can be frustrating when you're looking for a loud bang in a fit of 'I have nothing to wear'. On that note I will say I'm not one for ridiculous amounts of clothes, this is a slim and petite wardrobe but more than enough for someone with what I'd call a normal amount of clothing. I have numerous dresses, jeans and tops hung in the wardrobe quite comfortably with room to expand if necessary. I had some concerns that the door handles being 'open' might mean that clothes could be viewed but thus far there hasn't been any issue and it's a case of hanging the right clothes in the middle portion, typically something dark. Overall Argos get the thumbs up from me so I think it's time I give their range of beds a once over, I can't sleep on a mattress forever. They all look as if they were from the same range, a perfect match. I love the drawers, it looks like they'll provide an enormous amount of storage. I know - was so pleased it came together and yet doesn't crowd the space. I'm still trying to live with the drawers and find out what goes best where but there's definitely plenty of storage for me to work with! Yes, they do look like they match. You can never have too much storage! Definitely not… it's still never enough tho! I have my very own Victoria Secret's underwear drawers now!